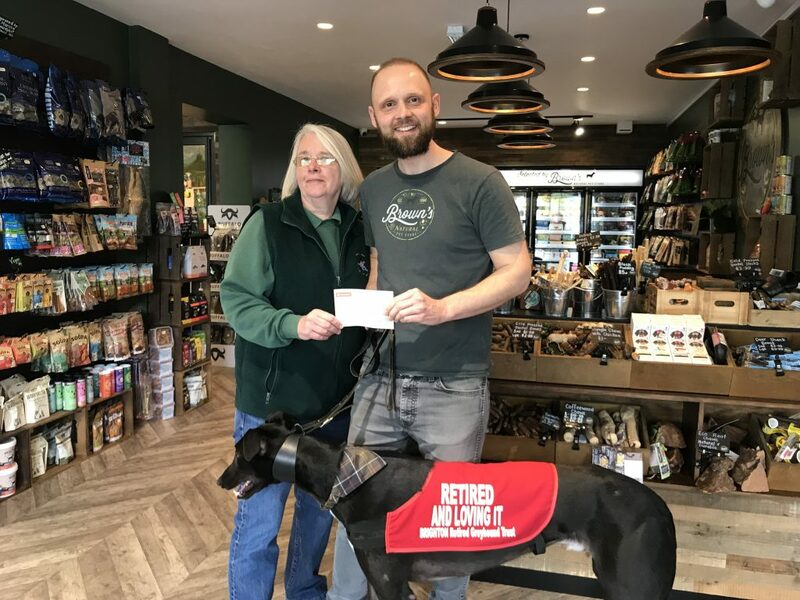 On Friday 12th April 2019, Brown’s Natural Pet Store presented a cheque for £100 to the Brighton Greyhound Owners Association Trust for Retired Greyhounds. The money was raised through a raffle and donations made during our recent puppy party and other in store events. Dolly Shew a trustee from the charity visited our Ferring store, along with Carole Welch and recently retired Greyhound Woody. Brown’s Natural Pet Store is committed to supported a wide variety of animal charities that do incredible work across our community. We are thrilled that we could help the greyhounds in a small way through the donations but are very aware of the need for awareness raising as well to promote the exceptional work that Carole and Dolly do on charities behalf.